Sometimes the IT segment seems to think it is in a reality TV show and that the goal is to create as much drama as possible. Typically, it is HP in the running for the most drama-related news and the leak of the merger of its printing and imaging division with its PC division (it is interesting how many of the leaks seem to involve the same division) and departure of beloved printing executive Vyomesh "VJ" Joshi this week had it in contention again. However, there is far more drama in the virtualized desktop space with tuCloud, a firm that is demanding that Microsoft sue it. TuCloud promises a vigorous defense reminiscent of Psystar’s similar fight with Apple regarding the creation of Mac clones, which ended badly for Psystar. Typically, slapping Microsoft upside the head is somewhat suicidal, but then that’s what makes for great reality TV these days. Underneath all this smoke is a very real fire that has been created around the virtual desktop and one that could dramatically change desktop computing. At the crux of this issue is Microsoft’s licensing program and the typical concerns around cannibalizing revenue streams and control. It is interesting that a similar set of decisions by IBM is what helped create Microsoft and Microsoft first tried to address this potential demand with a product that came out in 2003 called Smart Display (Mira). Smart Display (Mira) failed in the market but the idea had merit; in fact, you might argue that the iPad is a crippled clone of what Smart Display (Mira) was intended to do. Smart Display (Mira) was a desktop extender. It was intended to allow you to take a tablet version of your desktop to places where a laptop or desktop PC were impractical. Usage had it primarily placed in the living room or in bed for web browsing, media viewing and media center remote control and to run certain applications (casual games, etc.) that would be appropriate for a tablet — or, in short, pretty much how most folks currently use an iPad. What might have made it better was that there was no need for sync or a cloud service to connect the devices. They were always connected. What made it worse was that it sucked and like most Microsoft efforts like it (Zune, Origami, Kin), it wasn’t complete and it failed. But like Zune was an early iPod touch, Origami an early iPad and Kin an update on the very popular Sidekick, it showcased what might be a better solution than the current one, which places software at every endpoint and forces users and administrators to manage a massive amount of desktop complexity. Windows 8, which is a desktop-tablet blend, might have actually been the perfect OS for Smart Display (Mira) providing the Metro interface for the connected tablet and the more traditional interface for the PC side of the solution, but, unfortunately, Smart Display (Mira) failed nearly a decade ago. The king of virtualization in the enterprise currently is Citrix, but the secret from that company is even though it has the XenDesktop, few actually deploy it and most use Citrix to provide access to legacy applications on current platforms citing the alternative as just too expensive. We’ve been comparing OnLive to it and it rolled to market with a solution that came out of gaming with custom hardware designed to do what the Smart Display (Mira) did, but on an iPad or Android tablet and hosted in the cloud so you don't actually need to run your own PC. It is kind of a better Smart Display (Mira), one that actually works but licensing wasn’t cooked and that has become a bit of a problem. TuCloud, like Citrix, provides a virtualized desktop but under Microsoft license and it (like Citrix customers) reports that the result is simply too expensive of an opportunity and penetration by both companies with full Windows offerings have not been that exciting. tuCloud is complaining that Microsoft’s licensing costs are effectively limiting it to a fraction of the available market, putting Microsoft in the unenviable position of effectively killing the very opportunity it first saw with Smart Display (Mira). NComputing is the real wild card here because it crafted a platform that provides a more cost-effective solution than Citrix and it designed its solution to work within Microsoft’s licensing framework using terminal services. While it doesn't have the performance headroom of OnLive Desktop or the massive potential scalability of Citrix, it does provide an auditable solution that is performing well in emerging markets, education, small (state and local) government and in call centers. It may actually have a more virtualized full Windows desktop than Citrix does and with 3 million end users, it is at least a close second. While it lacks the custom hardware and consumer-driven demand that is unique to OnLive or the deep enterprise connections of Citrix, it is coming in with education on a similar employee-driven vector and could be the most successful to ride the consumerization of IT wave. It has also been generally drama-free for the last 5 years, which may disappoint some that cover technology, but is a welcome change for the rest of us. In the beginning, we accessed computing through appliance-like terminals and then we exploded computing and complexity to the end points. Users and IT buyers have been trying to get back to a much simpler life ever since. Thin clients, bladed PCs and now virtual PCs are the latest attempt to put this particularly nasty genie back into the bottle and while she is throwing an “I won’t go” hissy fit, eventually someone is going to get a large enough plunger and put the cork back on with distributed computing inside. If Microsoft doesn’t find a way to meet this demand, much like IBM discovered on the last wave, the market is going to find a way around Microsoft and I think the iPad's success suggests the market is well along this path. Predictions suggest that tablets will bypass PCs by 2013 — granted some of these folks are likely smoking crack — but if the timing is aggressive, the trend is unavoidable. People want an appliance and one way or another they are going to get one. With constant improvements to WAN connectivity, this move could happen sooner rather than later and changes like this often, actually almost always, leave the dominant vendor deposed. 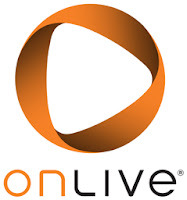 Until then, NComputing may actually showcase the path that OnLive needs to take as either the IT-centric or demand-Microsoft-sue-you approach have serious shortcomings. By the end of this decade, we’ll likely be back on appliances. The only question is will they be ultimately connected to Apple, Google, Microsoft or a vendor that is yet to be named? At Take Free Bitcoin you may get FREE satoshis. Up to 22 satoshis every 5 minutes.